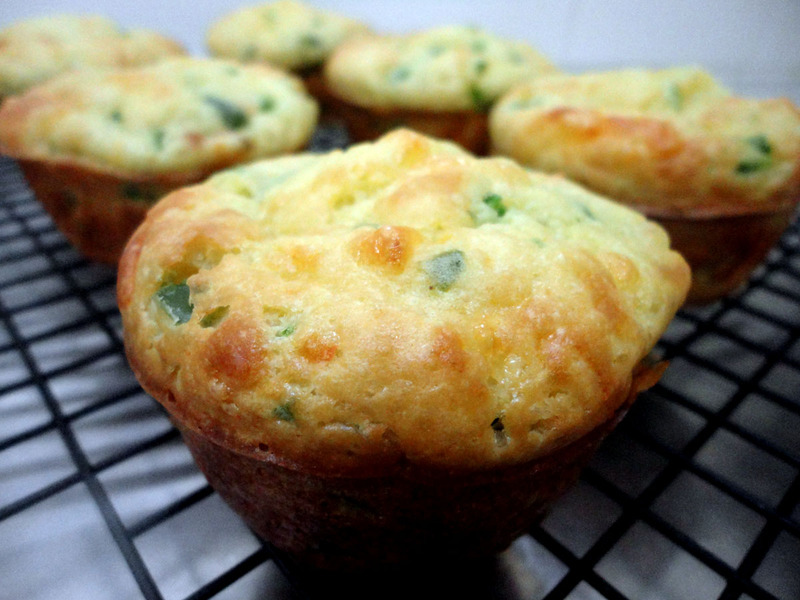 I wasn’t really planning on making these Jalapeño cheese muffins. A few weeks ago, I found a recipe for pork medallions with Jalapeño jelly. I have looked around for the jelly in a jar but no luck, couldn’t find one so I searched for a Jalapeño jelly recipe. I found one online and bought the ingredients. For some reason, I never got into making the jelly. I was always distracted by some new recipe and kept forgetting about the dozen Jalapeño peppers I got in the fridge! Well, a few days later after I bought the peppers, I was able to salvage half a dozen of them. What to do? 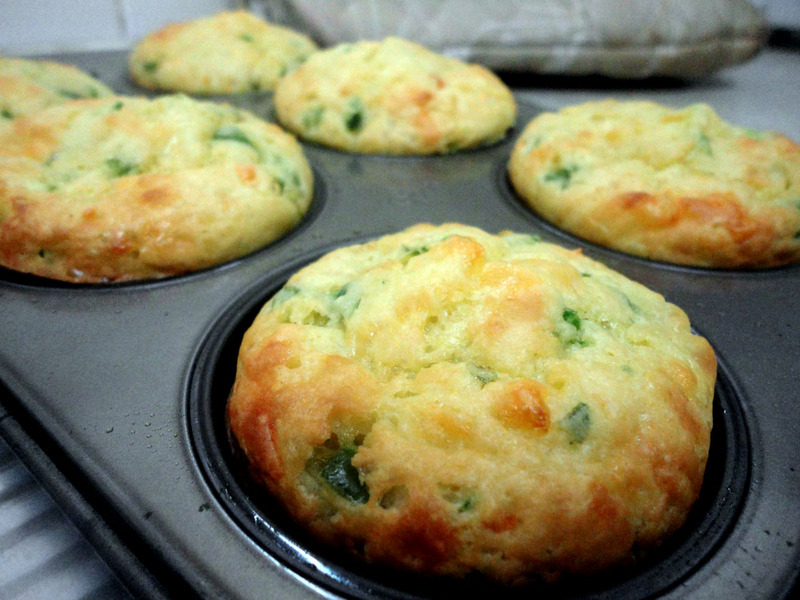 I decided I’ll make the Jalapeño cheese muffins again. I had the grated cheese, the peppers but no sour cream. There was milk in the fridge and I thought, well that will do. And it worked! I first came across this recipe via Trials In Food, a fellow food blogger. 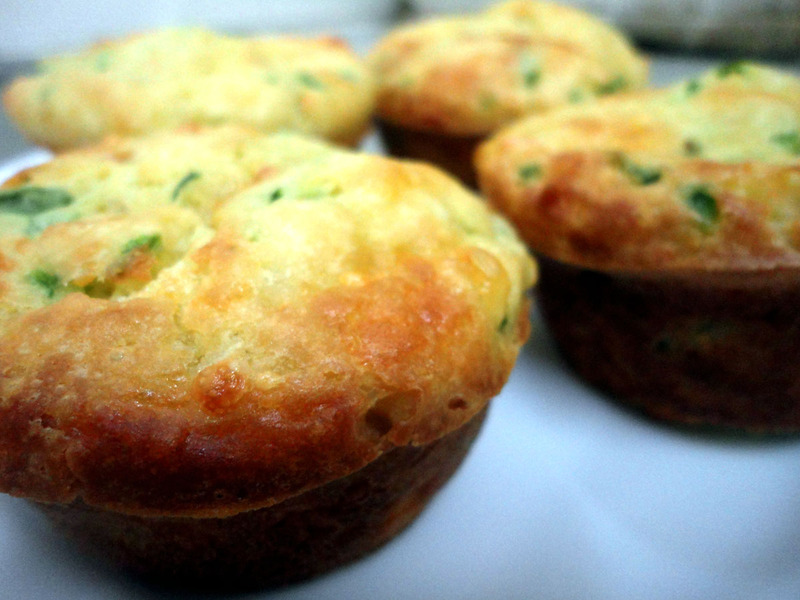 Instantly, I knew I had to try these muffins when I saw Yvonne’s post. I took into consideration the tips and notes she mentioned about adjusting the quantity of ingredients as she was after a moist texture. First time I made these, I added half a cup more sour cream, which made these really moist and gave a cake-y texture. When I made them last time, I wasn’t sure how substituting a cup of sour cream with a cup of milk will turn out. Well, experimenting can sometimes be a good thing. 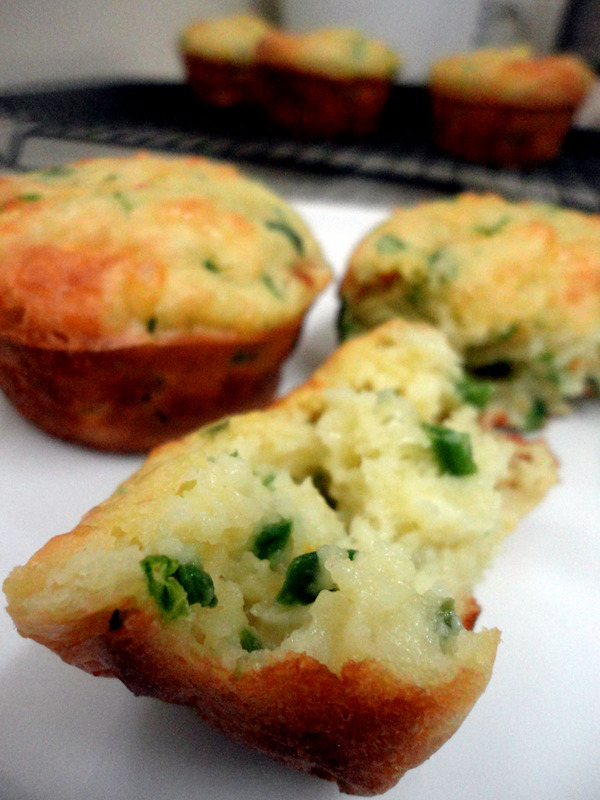 The muffins turned out as nice as the ones with sour cream and as moist and savoury as the previous batch. Another thing that I made different this time was I added another tablespoon of the Jalapeño peppers. It is a personal taste or preference of course but I thought a tablespoon more of the peppers wouldn’t hurt and really it didn’t! I will give the link to the page where Yvonne and I adapted the recipe from but for those interested, here is the recipe I used for this batch. 1. In a large bowl, mix flour, baking powder, baking soda, sugar and salt. Add cheese and mix with a fork. 2. Whisk milk, melted butter, eggs and jalapeño together. Add to dry ingredients. Stir until evenly moistened. 3. Bake in lined muffin cups (or greased muffin holes) at 200C degrees for 20-25 minutes. The original recipe said bake them for 15 minutes but oven temperature varies so it is best to check and see if they need further baking time. 4. Turn out on a wire rack. These muffins are best served warm. You can have them with cream cheese but really, they are delicious on their own. 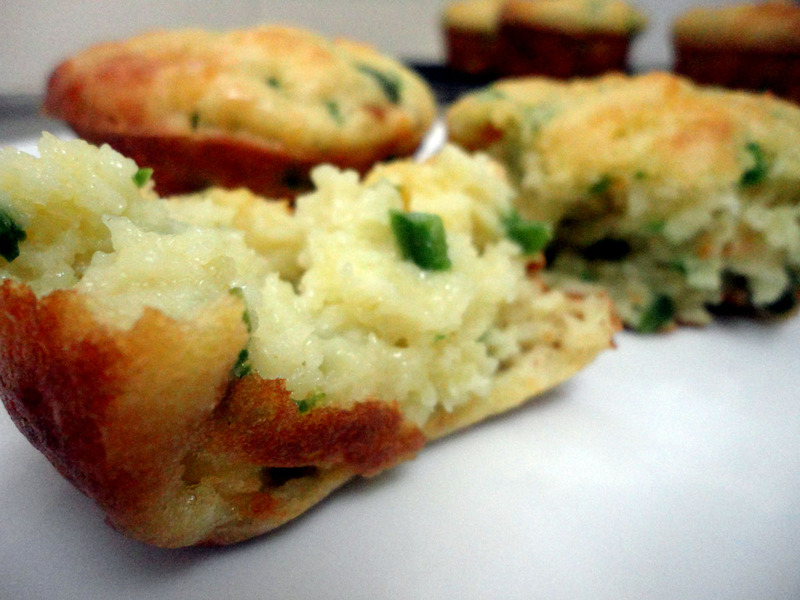 Loved the hint of chilli balanced with the cheesy flavour, which make these savoury muffins such a treat. 17 Oct	This entry was published on October 17, 2012 at 2:28 pm. 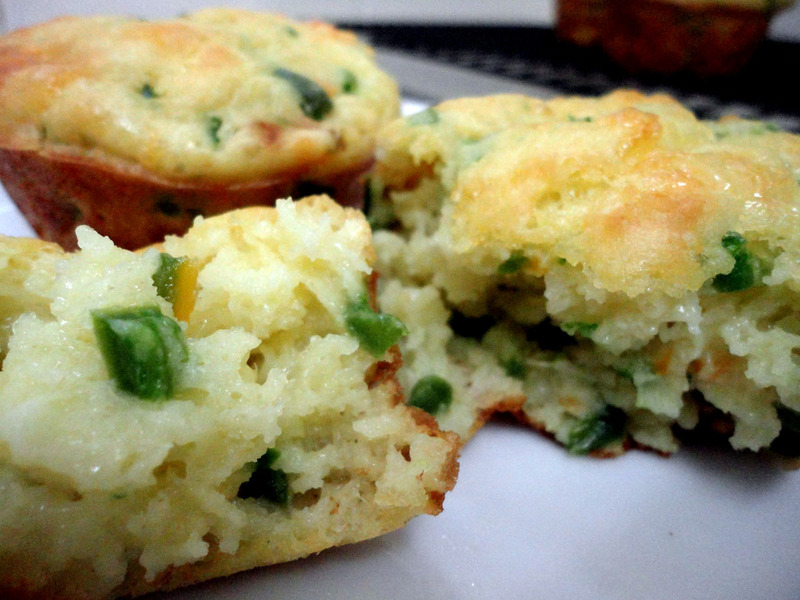 It’s filed under baking, cooking, family bonding, food, Quick Meals, recipes, Sweet treats, Vegetarian and tagged Baking powder, Cheese, cheese muffins, Flour, food, grated cheddar, Ingredient, Jalapeño, moist texture, Muffin, Recipe, Tablespoon. Bookmark the permalink. Follow any comments here with the RSS feed for this post. Thanks DJ…easy to make too! 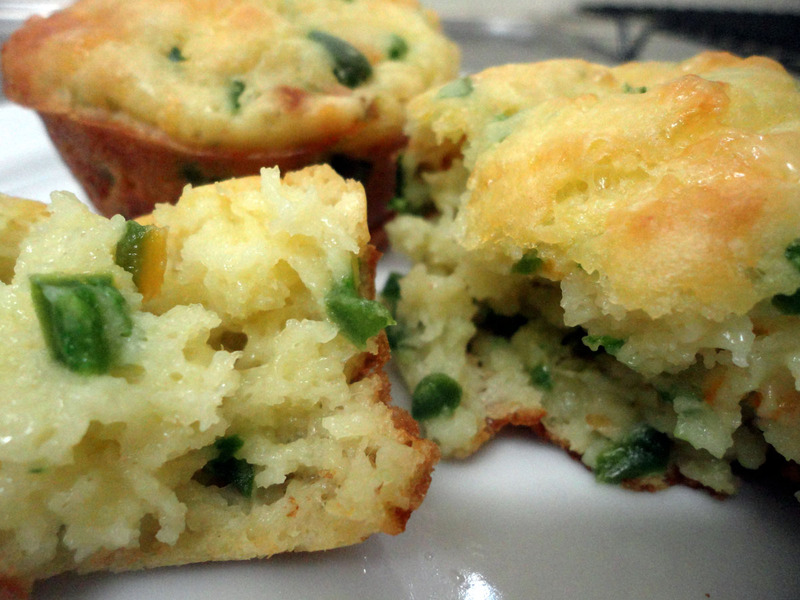 Pingback: Cheddah Jalapeno Biscuits | What's On the Stove?